"I use these on cycle touring holidays for the times when you're not cycling, in the evenings or on rest days. While cycle touring you can't do your laundry very often and these still feel great and "don't smell" after days of usage. If necessary I wash them in cold water and they dry quite quickly. I would recommend." I'd recommend this to a friend. "Maybe I'm just too sensitive but sensitivity was the reason I splashed out on these, yet the seams at the gusset are so rough to the touch, they feel like barbed wire on the skin. Such pity as the fabric is soft"
I wouldn't really recommend this to a friend. for the barbed wire finish at the gusset. They're unwearable for myself (I bought adult version of me) and my little one!" "Love this comfortable night shirt. I'm definitely not sylph-like but the sizing is generous and the soft cotton just skims over all the 'curves'." This was worn by... Just me! 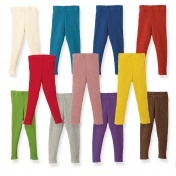 "These are just great for my 22 month old boy (I buy age 2-3). Gorgeous colours and super comfy and flexible for running around. Perfect warmth level for spring. Disana and Engel never disappoint!" "I expected this to be lanolin as disana bottle used to be. Unfortunately this here contains only 15%of lanolin in ingredients. And do you can soak wool even over night as it says, it does not lanolise it as much as need nappies to be to work as water proof. It’s ok as just washing liquid for wool. But even there- it locks the soil-that is poop residues into wool as it’s got some lanolin in it and that’s not ideal to have poopy nappy cover dried against skin again." 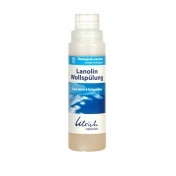 "For waterproofing, we recommend using the wool/silk cure which contains a higher percentage of lanolin.